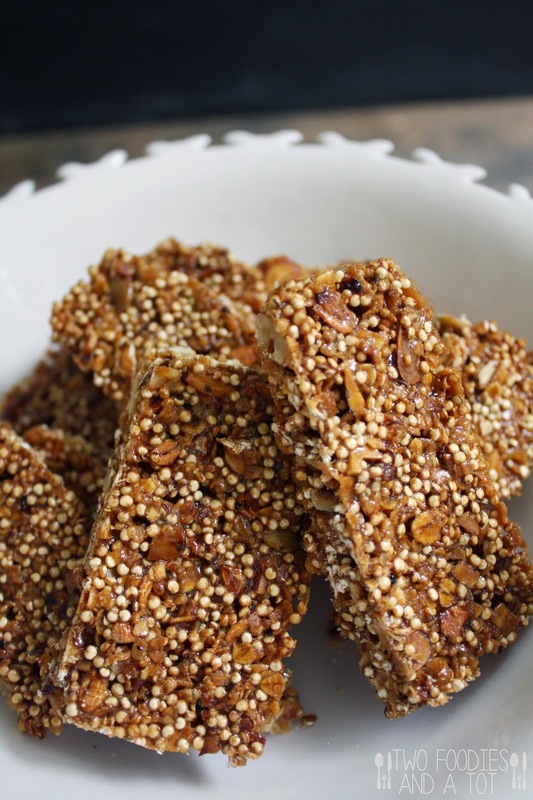 You know I love toasted quinoa if you have read my previous posts. Another way to enjoy it is to make it into bars. Last summer when we went to Myrtle beach, I brought a large bag of these bars with us and that was a life saver at our beach family photo shoot. We eat dinner early due to my tot's schedule and it was a sunset photo shoot. Exactly when my tot was supposed to eat. O..K..Usually my life revolves around my tot's schedule but we had to do what we had to do. He loves his granola bars and it kept him going for the entire photo shoot. Phew! Spelt seeds is one of the things we have at home but not being used often enough. I use it just like oatmeal. But for some reason, average mornings, I'd go for oatmeal rather than spelt seeds. This is the perfect way to use these healthy stuff more often. When it's toasted, it's very nutty. 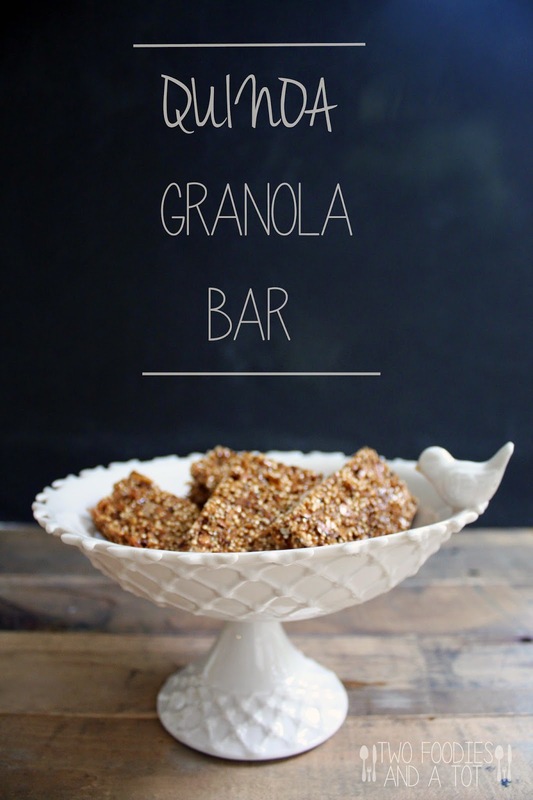 For nuts to add in it, it can be totally flexible as any granola bars. Depending on what I have in the pantry, it defers but a lot of times, I use toasted thinly sliced almonds, walnuts and cashews. This time, I threw in some toasted pumpkin seeds too since it was just right there. Hmm, let me make it sound a little better. Pumpkin seeds were added since it's fall! 1. Toast rolled oats and spelt seeds at 375F for 8-10 minutes. 2. Meanwhile, Add all wet ingredients in a sauce pan and bring it to a gentle boil. 3. Mix all the dry ingredients in a mixing bowl and pour honey mixture and mix well. Preheat the oven to 325F. 4. Line a rimmed 8 x 8 baking pan with parchment paper with a little extra for easy lifting. Pour the mixture and spread it evenly. 5. Bake for 20-25 minutes. Cool and cut to size you desire. If you keep it in the fridge, you get more crunch.